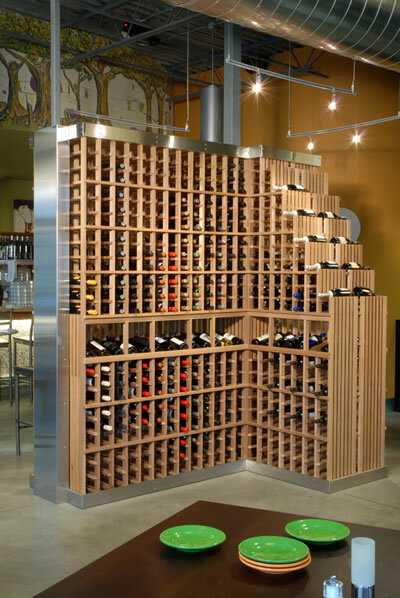 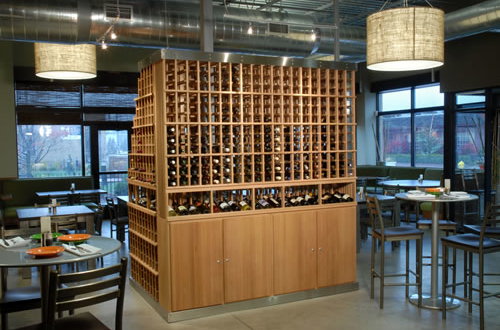 Grand Rapid’s first “green” restaurant features a custom-built western red cedar wine racking system in the center of the dining room. A stainless steel base and crown were added to blend the racks with the restaurant’s accents. 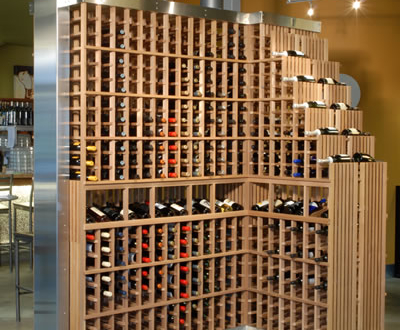 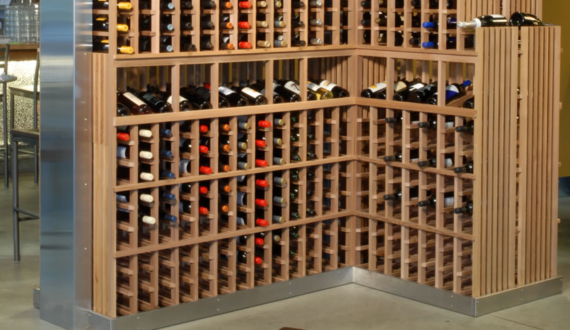 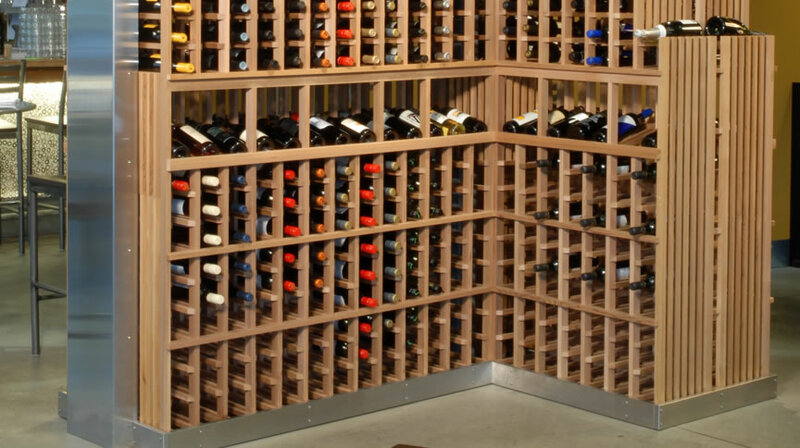 Cabinetry below acts as added liquor storage.